Canon’s PowerShot SX730 HS is the company’s flagship pocket super-zoom camera. Announced in April 2017, it’s the successor to the SX720 HS. The new SX730 HS shares the 20 Megapixel resolution, 1080p movies and 40x optical zoom range of its predecessor, all packed into a surprisingly small body. Like the SX720 HS before it, the zoom features a range equivalent to 24-960mm, allowing it to out-gun the 30x / 24-720mm of its arch rival, the Lumix TZ90 / ZS70. Canon’s secret in accommodating the long range in the small body is greater use of UHD (ultra-high dispersion) glass elements. However unlike the Lumix which manages to squeeze-in an electronic viewfinder, the Canon entirely relies on its screen for composition. I should also add that while the screens on both cameras can now tilt for selfie-shooting, the Canon continues to miss out on the touch-sensitivity of the Lumix. As before the best-quality movie mode is 1080 / 60p, although again Panasonic has taken the higher ground by equipping the TZ90 / ZS70 with 4k capabilities and the chance to extract 8 Megapixel stills from footage. The Lumix also continues to feature RAW, making it appear the better-specified, but Canon’s not stood still. While both models offer Wifi, Canon now complements it with Bluetooth on the SX730 HS for easier connectivity and effortless GPS location tagging via your smartphone. There’s also the simple fact that like its predecessor, the SX730 HS offers a bigger zoom in a smaller and cheaper body than its rival. Below I’ve made further comparisons between the two, or read my full in-depth review find out how they compare in detail and which is the best pocket super-zoom for you. The first thing anyone is interested in on a pocket super-zoom is of course the lens. And this is the one area in which Canon’s SX730 HS has a clear lead over the Lumix TZ90 / ZS70. Its 40x optical zoom reaches 960mm equivalent compared with 720mm for the TZ90 / ZS70. They share at the same 24mm wide angle setting, similar focal ratios (f3.3-6.4 for the TZ90 / ZS70 and f3.3-6.9 for the SX730 HS) and are similar in terms of quality, though each has different strengths and weaknesses. So what you need to ask yourself is, just how useful is that extra reach going to be to you? Moving on to the sensor. Both models share the same size and resolution 20 Megapixel 1/2.3in sensor. In terms of quality, my tests revealed that the PowerShot SX730 HS had slightly superior noise performance. Against that, the TZ90 / ZS70 allows RAW recording, so you have the potential of tweaking the RAW files to improve results. In terms of handling, the Lumix TZ90 / ZS70 is a more sophisticated camera in nearly every aspect. 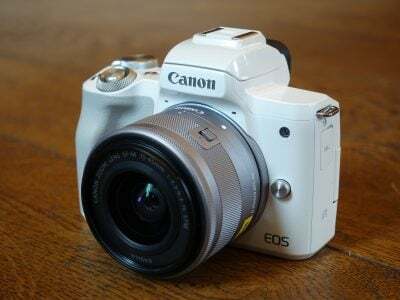 It has more physical controls including a lens ring and four programmable function buttons (compared with none on the Canon). In addition, the touch screen provides further customisable controls as well as the ability to quickly reposition the AF area simply by tapping. 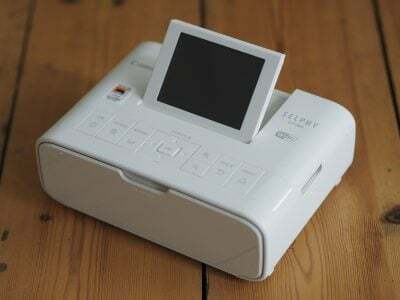 The SX730 HS lacks a touch screen and its central AF area can’t be repositioned manually. Both models are equipped with Wifi, allowing you to download images to your phone and remotely control the camera. The SX730 HS has greatly improved over its predecessor and offers a much better degree of control for remote shooting over Wifi, but the Panasonic app remains the Gold Standard for live control over Wifi. That said, the SX730 HS now offers Bluetooth connectivity along with a basic, but capable remote shooting app, plus you can tag your images with location data from your phone as you shoot. Both models have PASM shooting modes but on the Lumix you can use them for exposure control with video as well as stills, whereas the SX730 HS is auto only for movie recording. The Lumix TZ90 / ZS70 offers faster continuous shooting – 10fps versus 6fps on the SX730 HS (officially, though I measured closer to 7fps on the SX730 HS) – plus it has the advantage of 4k photo modes which effectively provide 30fps at 8 Megapixel resolution. Which brings us on to video. The Lumix TZ90 / ZS70 has the advantage of 4k UHD video in addition to its 1080 modes where the PowerShot SX730 HS tops out at 1080/60p and, as I’ve mentioned, there’s no PASM exposure control for movies on the Canon whereas the Lumix lets you make exposure changes silently using the touch screen. Overall it’s fair to say the Lumix TZ90 / ZS70 offers superior features as well as a much higher degree of control and sophistication than the SX730 HS, albeit at a slightly more expensive price point. See my Lumix TZ90 / ZS70 review for more details. There are also other options worth considering. If image quality of both stills and 4k video are important to you. Panasonic’s flagship TZ100 / ZS100, with its larger 1 inch sensor (four times the surface area of the TZ90 / ZS70’s and SX730 HS’ sensor) produces better quality photos and videos with less noise, than either the SX730 HS or the Lumix TZ90 / ZS70, but comes at a comfortably higher price tag with a shorter 10x zoom range and a non-tilting touch screen; see my Lumix TZ100 / ZS100 review for more details. And of course if you can live without a tilting screen, are happy with the 30x range and would love to have a built-in viewfinder, touch screen and 4K video but don’t want to pay extra for the TZ90 / ZS70, there’s also last year’s Lumix TZ80 / ZS60 to consider; see my Lumix TZ80 / ZS60 review for more details. 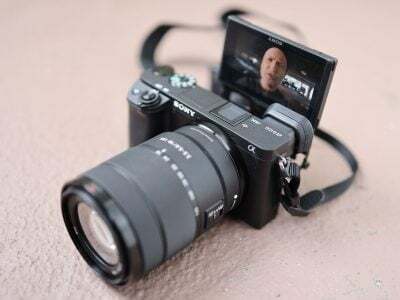 So there’s lots of options if you’re in the market for a powerful pocket super-zoom, but only one that offers a 40x zoom and the advantage of Bluetooth connectivity. For a good many people, having that little bit of extra reach, particularly at a reasonable price point, makes it an easy choice and it’s great to have the convenience of geotagging your photos as you shoot. That’s easily enough to gain the PowerShot SX730 HS a Cameralabs Recommended Award, but the fact remains that, zoom range aside, it’s outclassed by the Panasonic Lumix TZ90 / ZS70. Powerful 40x zoom range in compact, pocketable body. Wifi for remote shooting and image transfer. Bluetooth for remote shooting and easy geotagging. USB charging (cable not supplied). Some noise at 80 ISO base sensitivity. Lacks 4k video or exposure control over movies. Check prices on the Canon SX730 HS at Amazon, B&H, Adorama, or Wex. Alternatively get yourself a copy of my In Camera book or treat me to a coffee! Thanks!